There is a new kid on the cosmetic block, and her name is Dysport. Some of you might have heard about it, but today we are going to answer the question: What is the difference between Dysport and Botox? Botox is a word used these days by many people who receive a variety of injections. 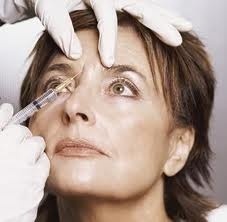 There have been millions of Botox injections in 2013 so far. Demand has skyrocketed and people want more more more. Both Dysport and Botox are made up of botulinum toxin A which is a protein. The protein found in Dysport is smaller than Botox, so it tends to take effect much quicker. Dysport is also much cheaper in price. Both last about 3-6 months. The main difference between Botox and Dysport is the way that they are measured. Being that Dysport is measured differently, it takes more Dysport to acheive the same effect as Botox so it is actually priced very much the same. Other than that, it is pretty much the same exact thing.